Gatwick Airport is one of my least favourite airports, however the only direct flight from the UK to Albania departs from this airport. I have horrific memories of long queues at security, bottlenecks and a lack of relaxation space, so the prospect of starting my holiday here was not appealing. We decided to avoid the madness and check out the No1 Traveller Lounge. You can find it tucked away on the mezzanine level of the terminal, a welcome respite from the chaos of the terminal. 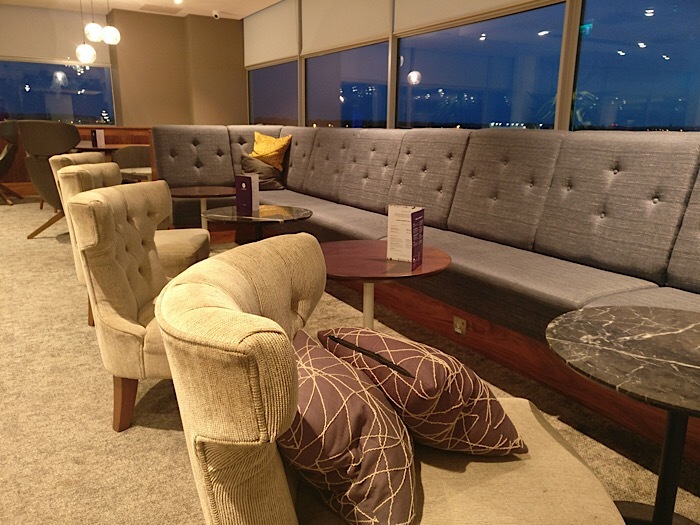 No1 Traveller Lounge seating area – pretty flash hey? 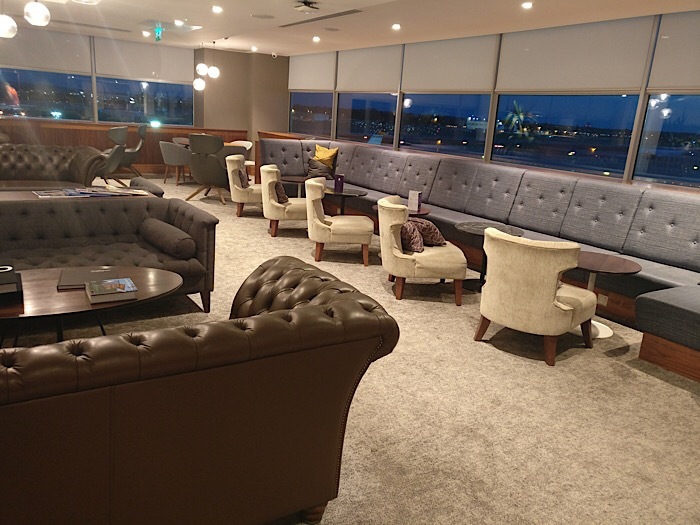 For £30 (or £16 for children), you can enjoy three hours in the lounge. I recommend pre-booking to avoid disappointment, and also because you receive security fast-track passes, which means your holiday begins that little bit sooner. Checking in is painless, with multiple terminals set up around a central island. 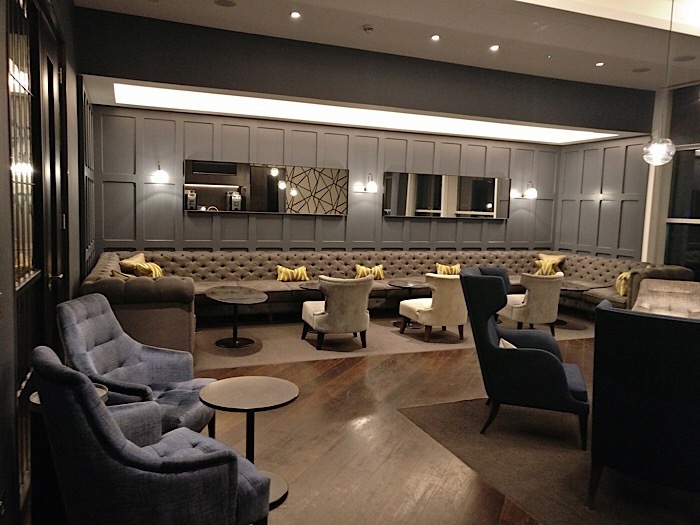 You are then free to find a table of your choice in either the lounge or dining areas. There’s a reasonable selection of foods including vegetable lasagna, salmon, salads and couscous. Orders are placed at the bar although I think it would be better if this was table service (see Doncaster Sheffield lounge review). The food was delivered quickly and tasted reasonable, albeit the portions were a little on the small side. Thankfully you can help yourself to nibbles, including crisps, nuts and brownies, which seemed to delight our chaps. All drink orders also have to be placed at the bar and this is my biggest gripe with paid lounges. If you have ever flown business and had lounge access, then you will be used to self serve drinks. This avoids lengthy queues, so I was a little disappointed with this aspect of the lounge. When we arrived, there were crowds around the bar and only one server who most definitely did not deliver ‘service with a smile‘. Glasses of wine were served small, meaning frequent trips, although as the lounge emptied the service massively improved. Of all the lounges I’ve been to, this is however probably my favourite paid lounge. It has panoramic views from all vantages and was far from crowded (unlike the Aspire Lounge in Heathrow T5). It has good seating for those wishing to work, with well placed plugs and desks, plus it has a lovely comfy lounging area and a practical eating area. It’s not huge but the numbers entering are restricted and if you are lucky, you may even be able to snag your own little private booth. 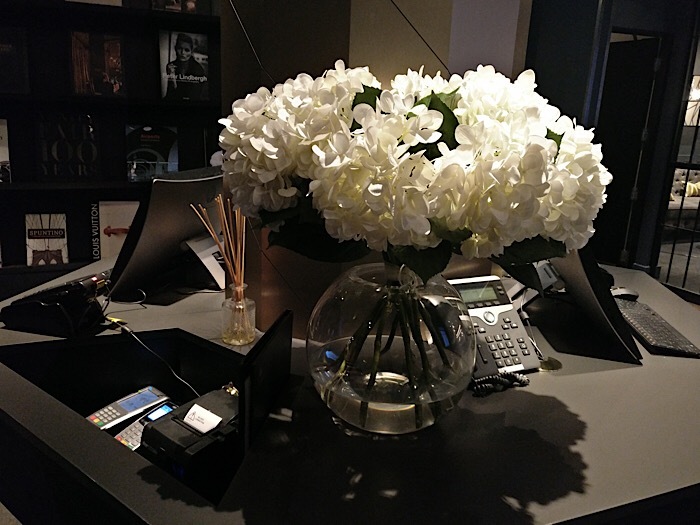 Maybe you have visited the lounge and I would love to know what you think. Feel free to let us know in the comments below. 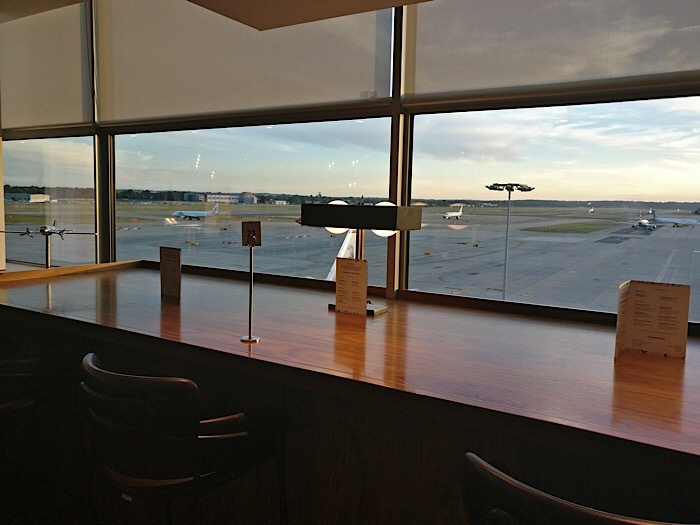 The Gatwick Airport Lounge looks really nice, luxurious and comfortable. Getting it pre booked is really a great idea, Your pictures are nice too. I love airport lounges. My brother has the Sapphire Reserve card – that admits you into select lounges – so I take advantage whenever I can! This lounge at Gatwick is very impressive. I love the seating and the fact that it isn’t too packed! Oh wow, we have similiar cards in the UK but you can only use them for yourself and additional cardholders. Do you have to be travelling with your brother? This is a great lounge but for the extra £10 you can have the run of the Club Lounge. It covers what you have mentioned ordering at your seat. Including champagne plus a large menu with full portions. I tend to use no1 when possible or a paid prestigious lounge compared to the gallopers at T5 for example are much better and more enjoyable. £30 is certainly worth it just to fast track through security alone. It looks quite comfy and like a great place to kick back and enjoy the food and drinks. airport lounges are an interesting way to do a lay over and shop for essential things while on the go! 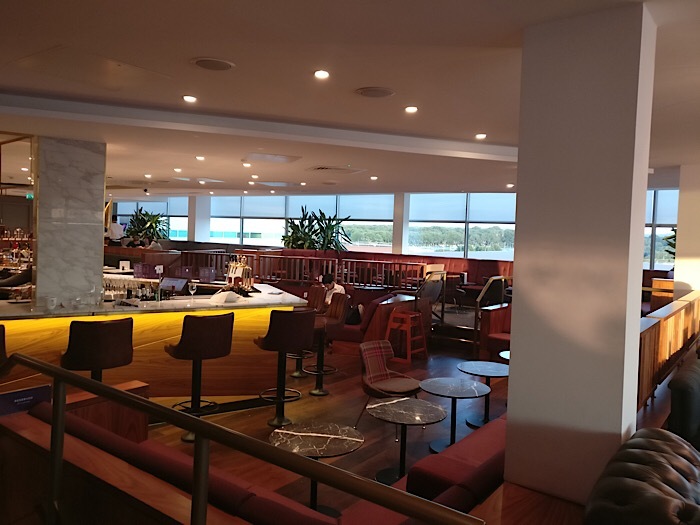 I love the look and feel of the Gatwick airport lounge and would love to check it out if I have a stopover there. The No 1 lounge looks like a pretty decent place to chill for some time away from the hectic activity and sounds of the terminals at Gatwick Airport. the views look really great and the ambience too looks elegant and classy. This lounge looks amazing! It is good to know that you should pre-book it. £30 for 3-hours is also a reasonable price! Does this include food and drinks? I’m loving the views! That’s quite a fun perk of a lounge. I’ll admit, I’ve never been in an airport lounge, so I don’t know what to expect. I feel like 30 GBP isn’t bad for 3 hours of peace, food, and drinks. I like that anyone can buy into this lounge, and that the price is relatively reasonable. I got stuck at another airport for 11 hours last December, and there weren’t comfortable options like this unless you were an elite member of particular airline frequent flyer programs and then there were additional fees. Having a comfortable place to work, grab food and a drink would have made that experience so much better! Wow! What a gorgeous lounge. I’ve been to several lounges, but this one looks so luxurious compared to the ones I’ve been to. I had no idea you could pre-book a lounge. I always thought it was only available if purchased at the lounge counter or if you held a First Class ticket. Been through LGW so many times and never heard of this. Sounds like a great way to get your holiday started! Love somewhere which has well placed plugs! I haven’t been to any airport lounges before. 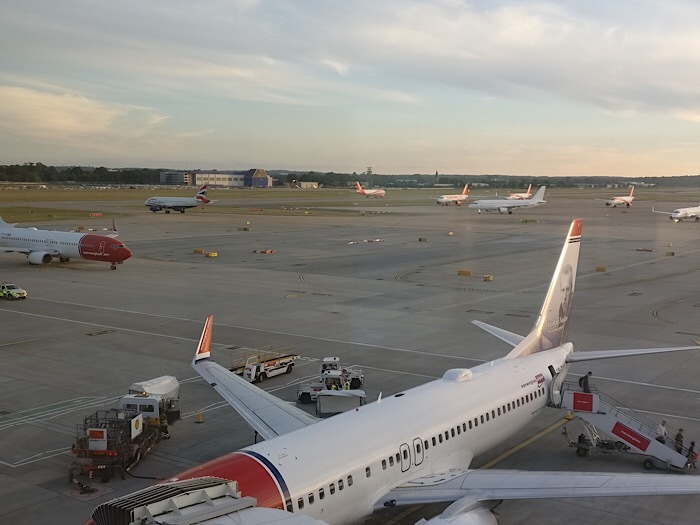 Are you able to pay for just a one time visit into the Gatwick Airport lounge?